I picked up Joe Dunthorne’s novel cheap in a remainder bookshop and was instantly taken by the tale, a kind of combination of ‘The Diary of Adrian Mole and ‘The Curious Incident of the Dog in the Night-time’, so I’m not surprised that it turned into quite an excellent feature film also. Written and directed by Richard Ayoade (Moss from ‘The IT Crowd’), Submarine tells the tale of Oliver Tate (Craig Roberts), a teenager who’s strangely disconnected from the world in which he lives. He examines his peers and parents as if he were a scientist looking down onto a Petri dish, and unsurprisingly gets a pretty tough time at school. The object of Oliver’s affection is Jordana Bevan (Yasmin Paige), a pyromaniac who suffers from eczema and is as unromantic as they come. Meanwhile, Oliver suspects his parents of having relationship problems and sets out to fix things himself. Roberts and Paige are ideal as the central characters. Roberts’ take on Oliver is both charismatic and awkward, equalling Nicholas Hoult’s work in About a Boy. Paige seems completely uninterested in Oliver for the most part, yet somehow manages to be coquettish at the same time. Oliver’s parents are playing with wondrous awkwardness by Noah Taylor and Sally Hawkins. In fact, the only actor that drops the ball is, surprisingly, Paddy Considine. I usually relish his cinematic appearances, but here it feels like he’s underplaying the self-styled mystic and new age guru, Graham Purvis. He doesn’t sully the film but is one of the few let downs. Submarine boasts a brilliantly offbeat cinematic style. The adjectives ‘quirky’ or ‘edgy’ would do the film a disservice, but there is something flawlessly off-kilter about the editing, music and pacing. Oliver often imagines his life as if it were a movie, and the screenplay toys with these ideas perfectly, though never gets too self-reflexive. As a fan of the book, the adaptation ticks all the right boxes. A couple of the supporting characters are sidelined, understandably, and if anything the tone is slightly less downbeat. That’s not to say it’s all sunshine and roses – whilst generally heart-warming, the film isn’t afraid to take us to some dark and unsettling places – but a couple of brutal moments from the book are either cut down or missing entirely. I missed the film in the cinema last year, which is why I’m only reviewing the Blu-ray now. The presentation is perfect with some interesting special features, the most amusing being a short video message from producer Ben Stiller, who all too happily explains that he had very little to do with the production. 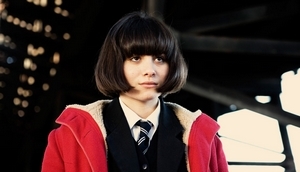 Submarine is a wonderfully innovative feature that I’m sure will get referred to as ‘indie’ or ‘offbeat’. Don’t let such descriptions put you off, however, as this is a great film. Submarine is out now on DVD and Blu-ray from Madman. This entry was posted in Film Reviews and tagged Comedy, Drama by Stuart Wilson. Bookmark the permalink.